For outdoor cooking, in the garden of your villa, on the veranda or on the terrace of an apartment in the center, GPS INOX has created two lines of stainless steel kitchens, in detachable modules, easily movable by self-blocking wheels. 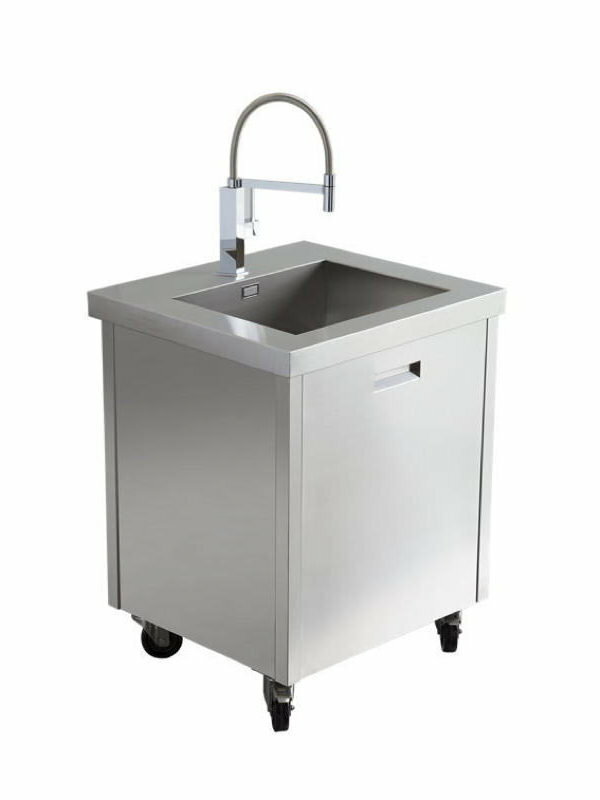 Inspired in the lines to professional kitchens, they are not only robust and resistant to sun, rain, salt and humidity. 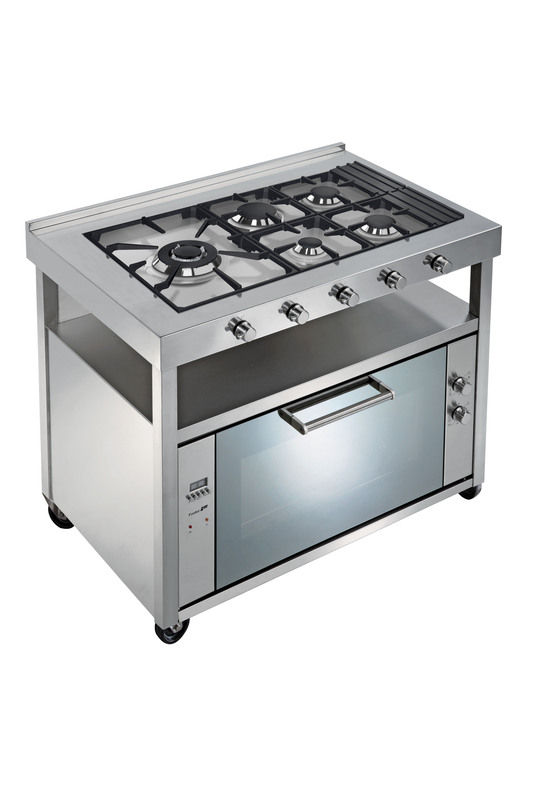 Thanks to the quality of the steel used, the AISI 304 or 316, and to the care of the finishes, they have the class and the elegance of the best domestic kitchens and enhance your outdoor cooking opportunities, together with friends or for a party. 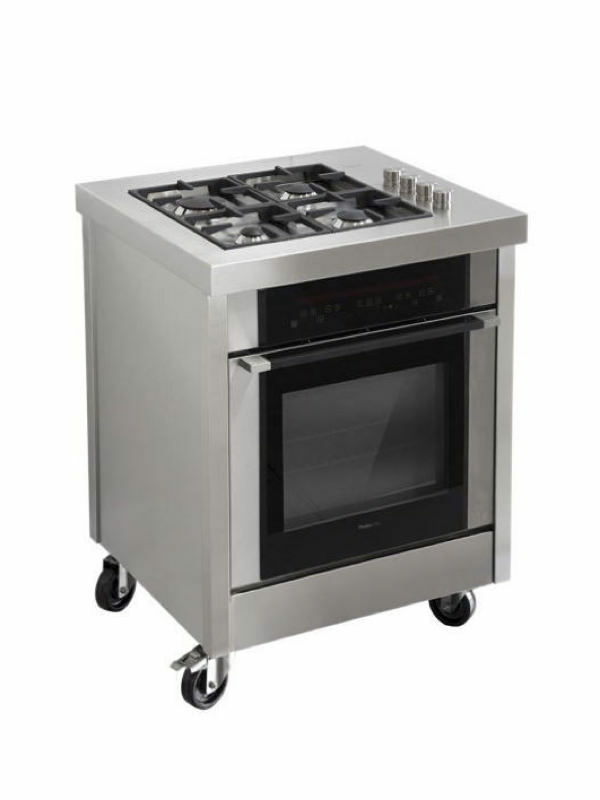 On the request of the customer, induction cooking tops can be installed powered by an electric cable. 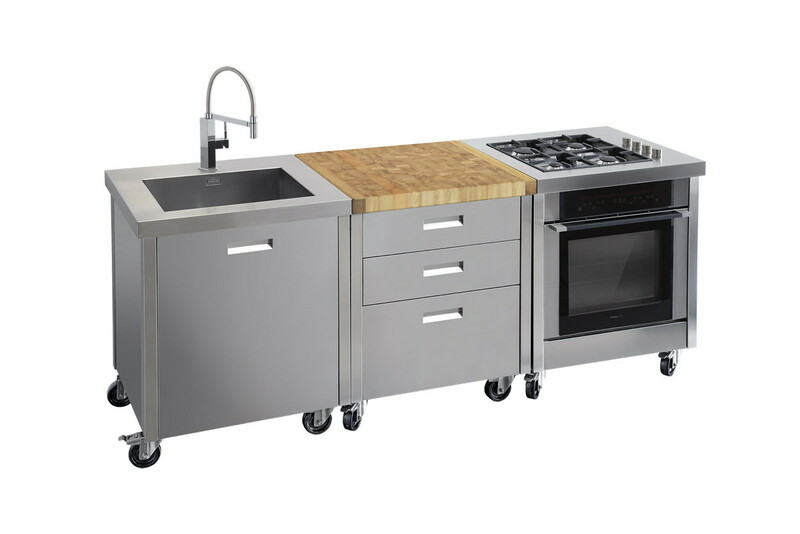 AISI 304 stainless steel kitchen with modules: to make this stainless steel kitchen characterized, like any other product of the company, by the quality of the materials and the quality of the finishes, GPS INOX was inspired by the lines of the kitchens used by the chefs. The result is a perfect synthesis between a professional kitchen and a line of furnishing, ideal for those who love the art of cuisine and intend to live it in their own home.Due to its characteristics it can be perfectly inserted in vintage, industrial and rustic contexts. 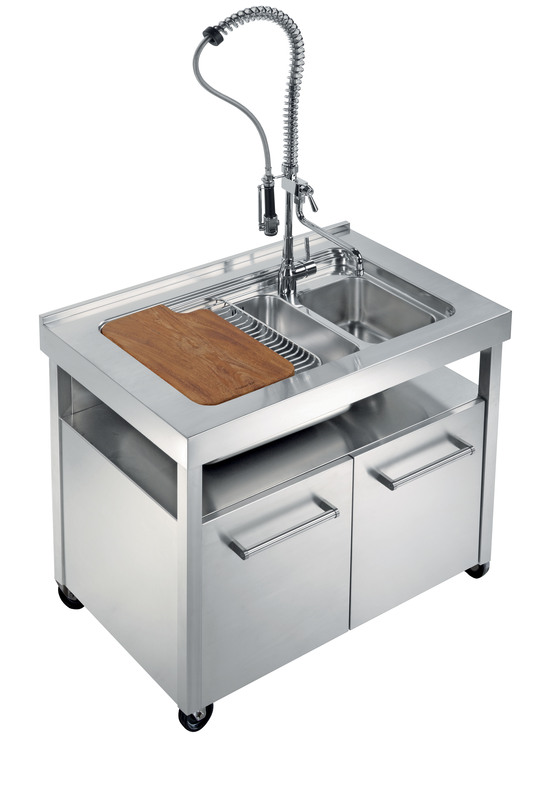 It is customizable and adaptable to customer needs with the possibility of integrating kitchen accessories such as fryers, grills and the like. 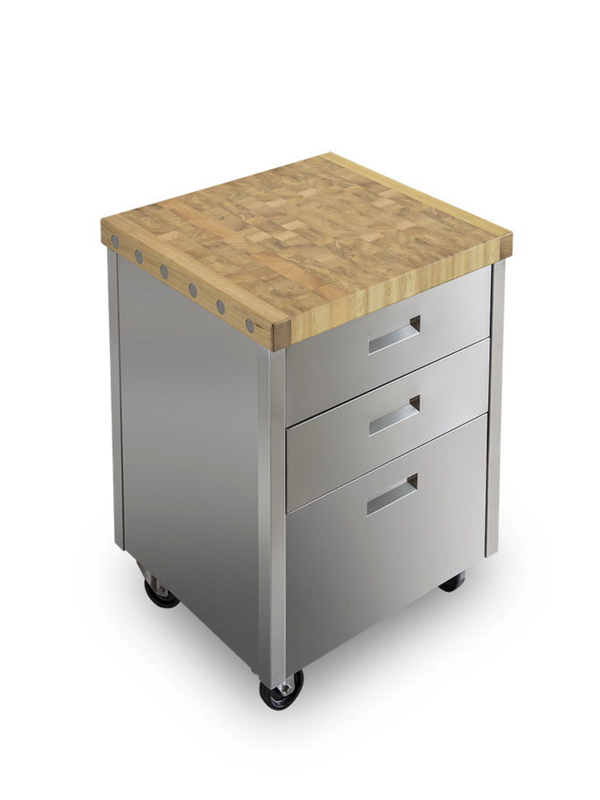 This kitchen model in AISI 316 is distinguished by the stylistic element of the minimal built-in handle and the functional element of the convenient drawer units mounted on sliding guides, with ball bearings and self-closing system which make the opening and closing operations particularly light and handy.Among the elements that characterize the Kalos kitchen model there is the central wooden top available on request.